Most calibration data sets used to infer past environmental conditions from biological proxies are derived from many sites. An alternative strategy is to derive the calibration data set from within a single site. Transfer functions derived from such intra-site calibration data sets are usually applied to fossil assemblages from the focal lake, but a recent development has been to apply these transfer functions to other sites. Transfer functions derived from intra-site calibration data sets can have impressive cross-validation performance, but that gives little indication of their performance when applied to other sites. Here, we develop transfer functions for lake depth from intra-lake chironomid calibration data sets in Norway and Alaska and test the resulting models by cross-validation and against known depth in external lakes. Lake depth is a statistically significant predictor of chironomid assemblages at all these lakes, and most intra-lake transfer functions perform reasonably well under cross-validation, but their performance against external data is erratic. Downcore reconstructions from transfer functions developed on different lakes are dissimilar. Ignoring the poorly performing transfer functions, only 3 of 14 downcore reconstructions are statistically significant. Few assemblages downcore had good modern analogues in the calibration data set, even when the core was from the same lake as the calibration data set. We conclude that intra-site calibration data sets can find site-specific rather than general relationships between species and the environment and thus should be applied with care and to external sites only after careful and critical validation. 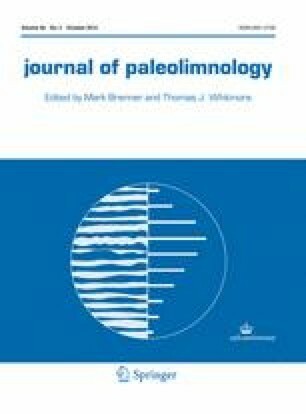 We wish to thank Stephen J. Brooks for providing fossil data from Holebudalen and for valuable comments on the manuscript. Les Cwynar is acknowledged for help generating the Alaska data. We also thank Steve Juggins and an anonymous reviewer for valuable comments. This work was supported by the Norwegian Research Council projects AQUACLIM and ARCTREC.